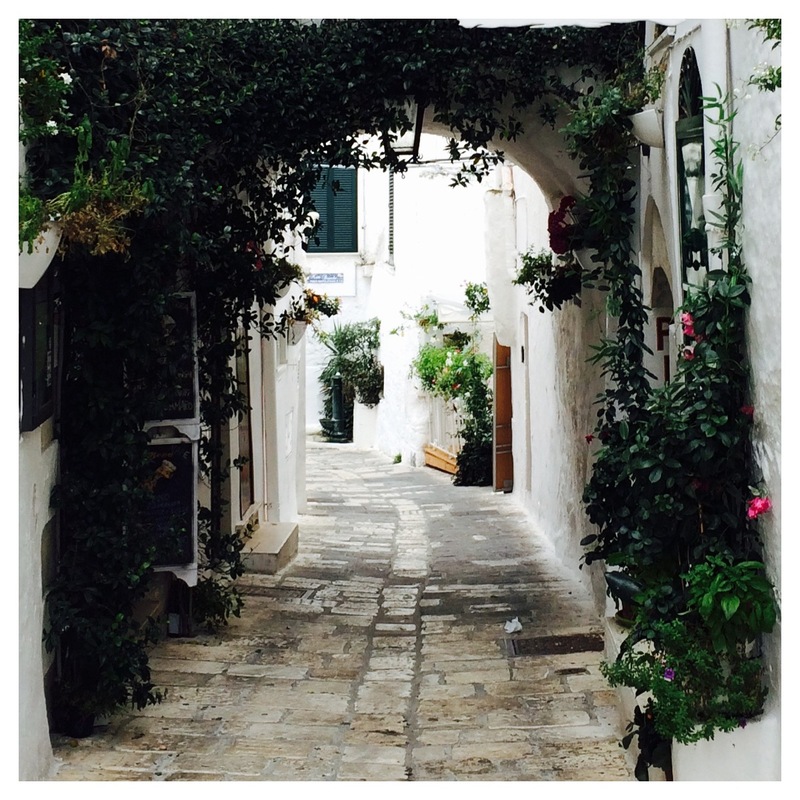 Puglia’s White City shines like a jewel up on its little hill. And at first glance it feels a bit laid back with its picturesque white streets and potted plants. But as you wind up an down this sleepy town you start to realise it is quite grand which gives way to many delightful surprises. 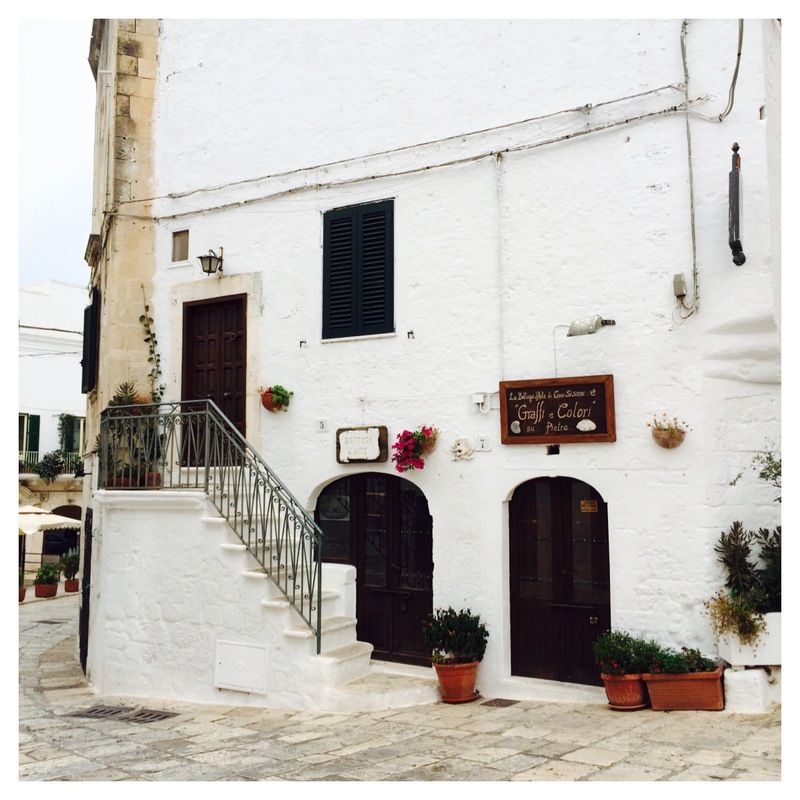 More than anything else Ostuni is a pretty little place. White washed houses with flowers and green leaves down narrow streets and courtyards make for lovely photos. It its almost where the Greek islands meet Italian style with the sea in the distance, and olive groves between the town and the water. Baroque accents dresses up the simplicity of everyday houses and makes them almost regal. Then there is a bit of a hip element to it with colourful modern chairs on the street outside tiny cafes, and airy music piped like soothing waves down the street. It reminds you that this is Italy after all and people can still be stylish even in a small hill town. Start at the theatrical yet compact cathedral and its piazza at the very top of town, and take your pick of small streets to meander down and discover. Just take time along the way to step off the main road to the many picturesque side streets. 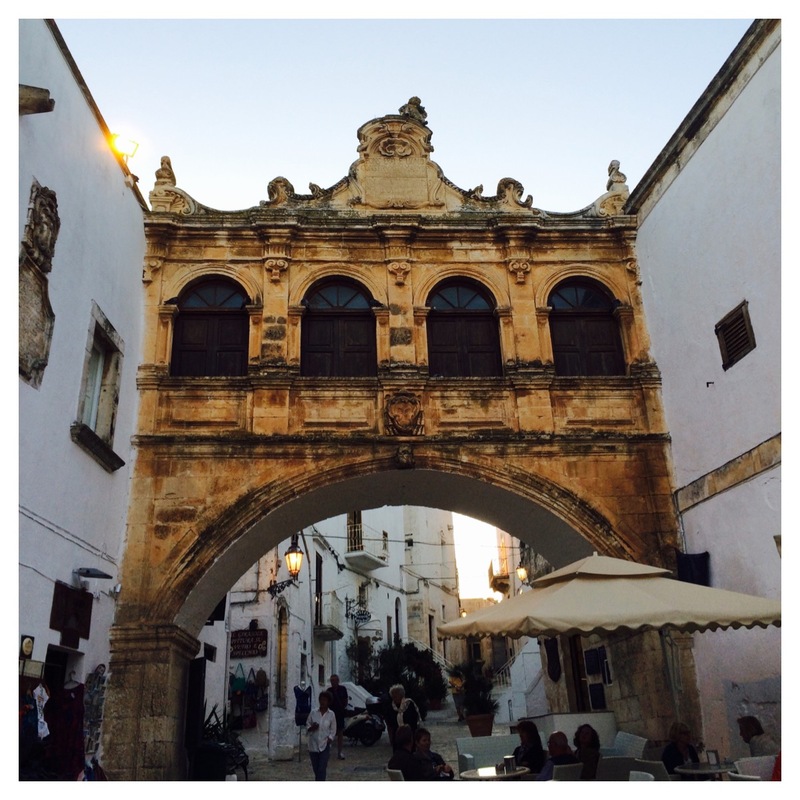 Ostuni is a town of elegance seen round every corner. 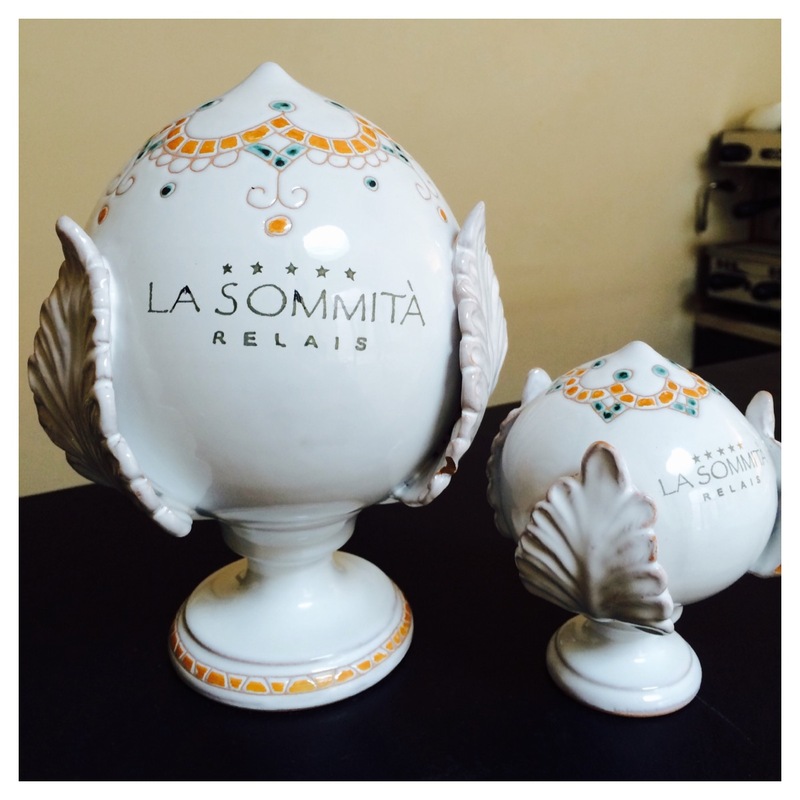 La Sommita Relais This fashionable boutique hotel is perfectly situated directly behind the Duomo. Gorgeous settings reflecting Puglia design with modern comforts, the hotel at the top of the town has great views toward the sea and is central to most things in town. 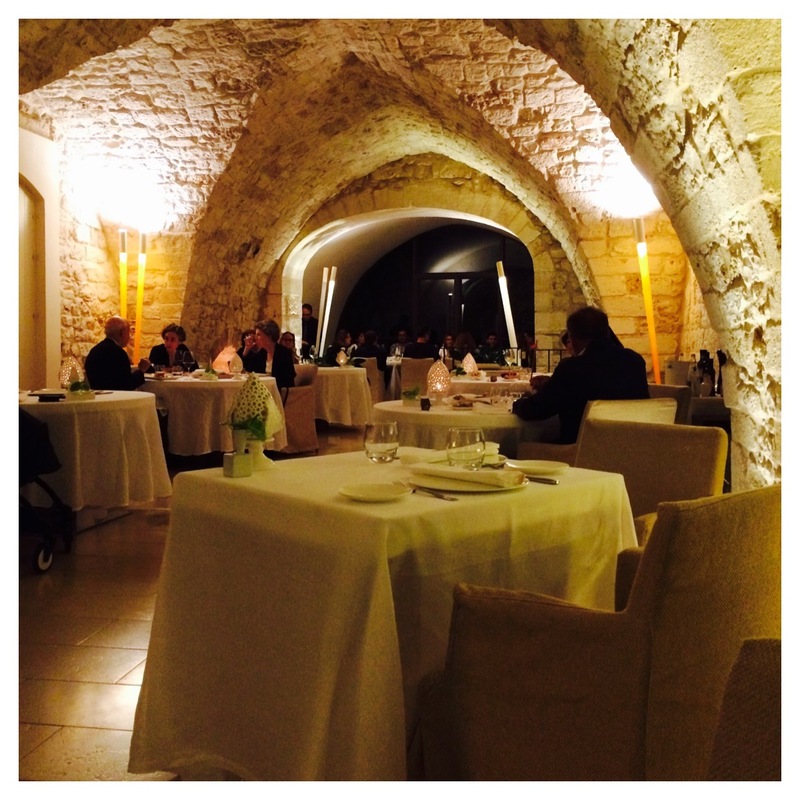 Cielo Located inside the Sommita hotel this is probably the most elegant restaurant in Ostuni and one of the best. Exceptional food and wine list showcase the best that Puglia food and wine has to offer. The chef takes all of Puglia’s ingredients and presents them in modern cuisine. A foodie’s delight. 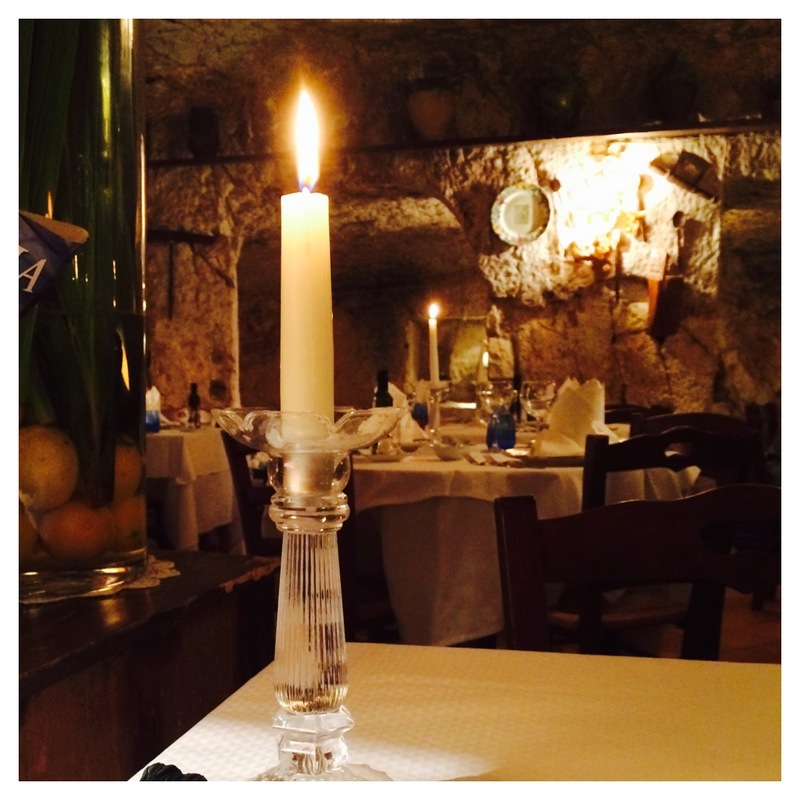 Osteria del Tempo Perso For something a bit more traditional head to this cozy candlelit restaurant. Serving typical food of the region this place ticks all the boxes and even has a table filled with grappa which should not be missed. 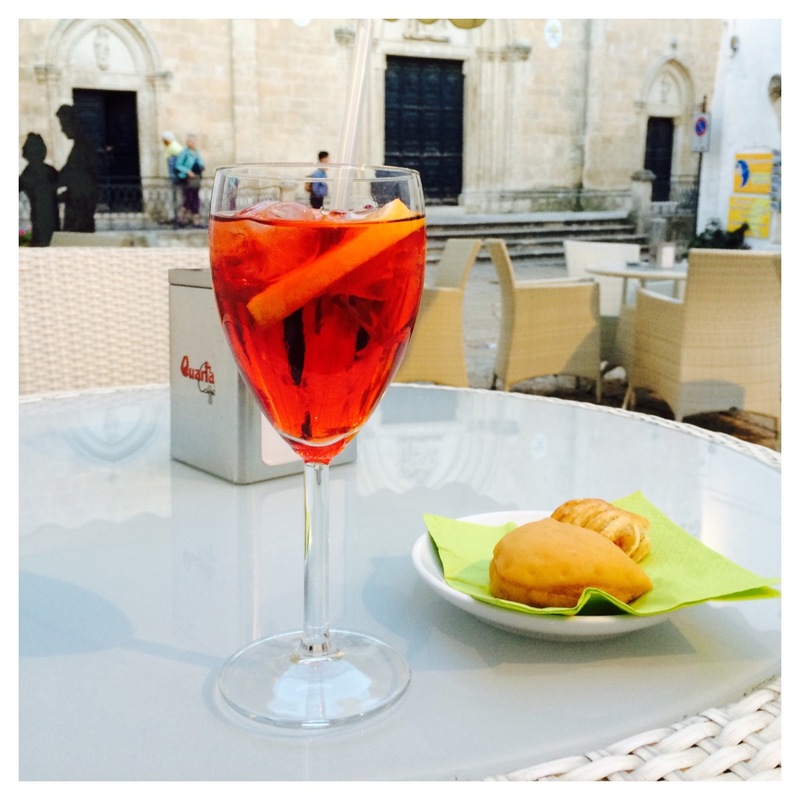 Caffe in front of the Cathedral Makes for a delightful view of the church while sipping either a morning espresso or an evening aperitivo. 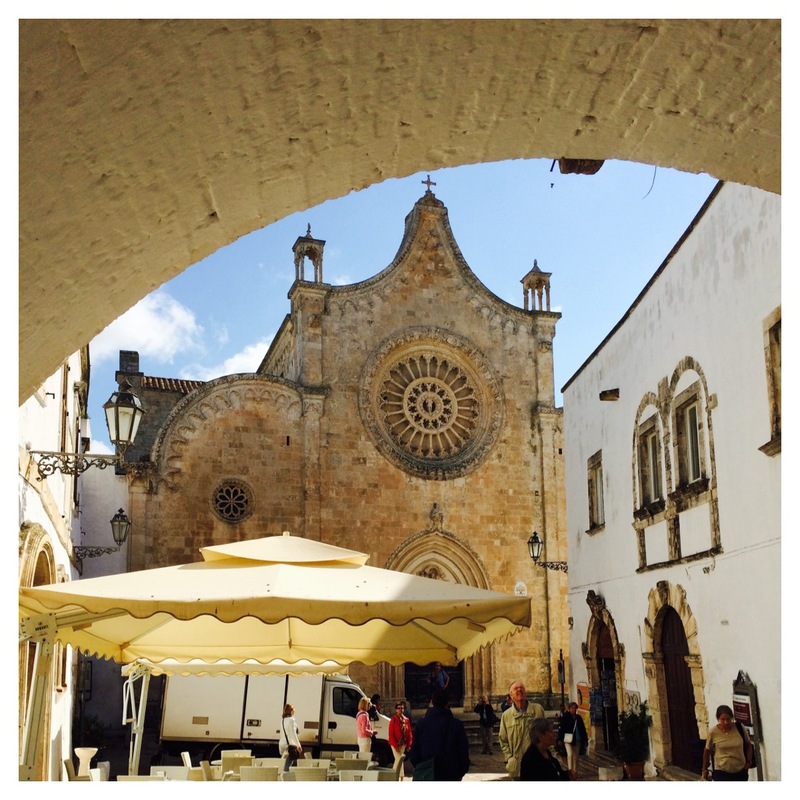 The Cathedral, or Duomo at the top of Ostuni is whimsical and approachable. The piazza too makes for a lovely place to sit and relax with its views of both the cathedral and the Palazzo del Seminario with its ornate arch. Baroque Architecture Some of the best examples of baroque architecture and detail can be seen in Puglia. 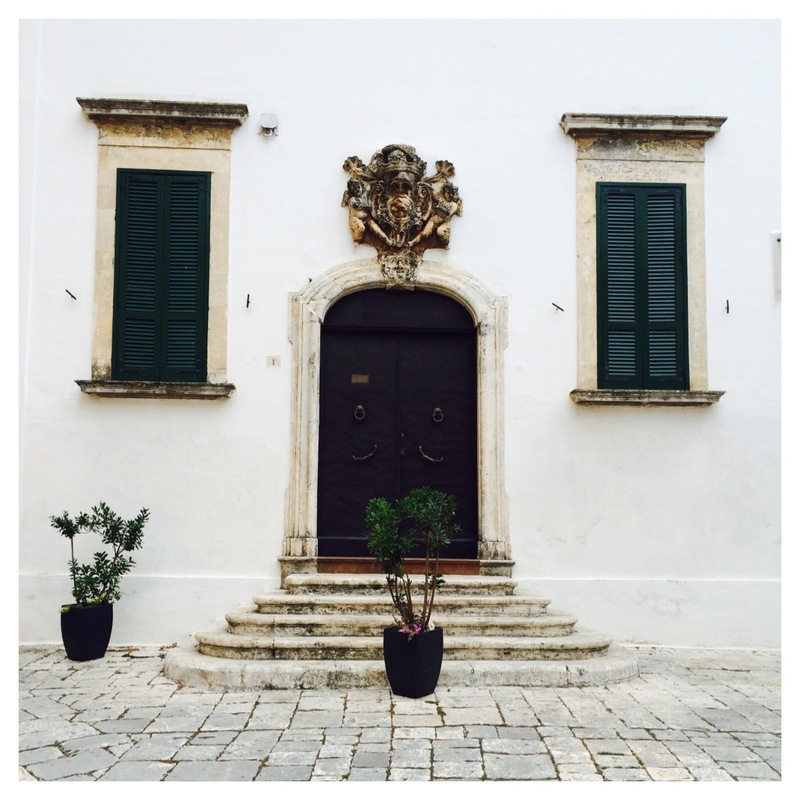 Ostuni has some wonderful examples scattered throughout its streets and buildings. The Streets Take a walking tour or just lose yourself down the streets to really capture the essence of this breezy town. 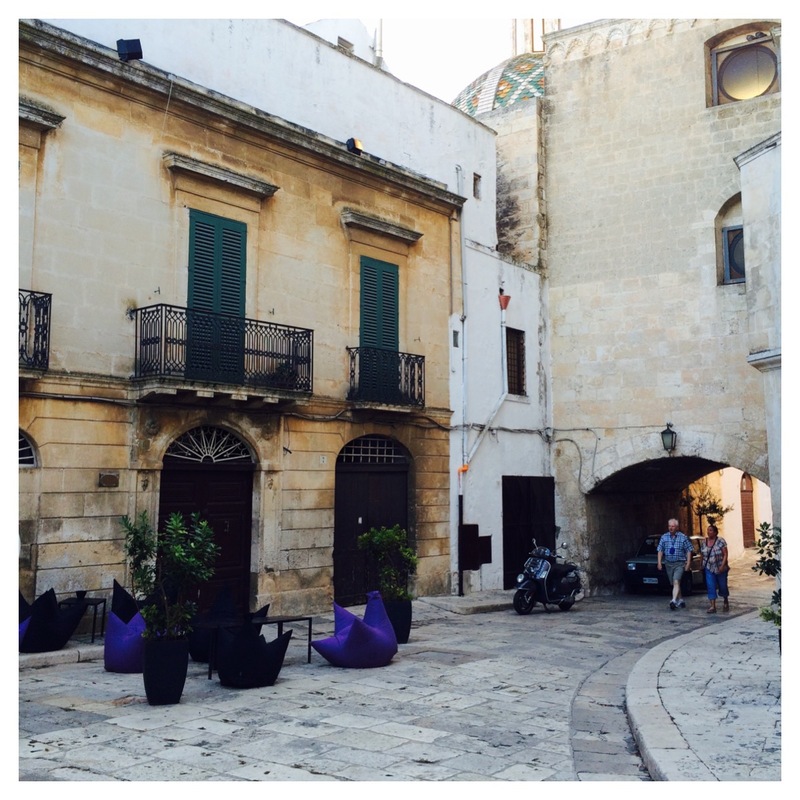 Ostuni is about an hour’s drive from Bari in the Brindisi province of Puglia in the attractive Valle d’Itria countryside.